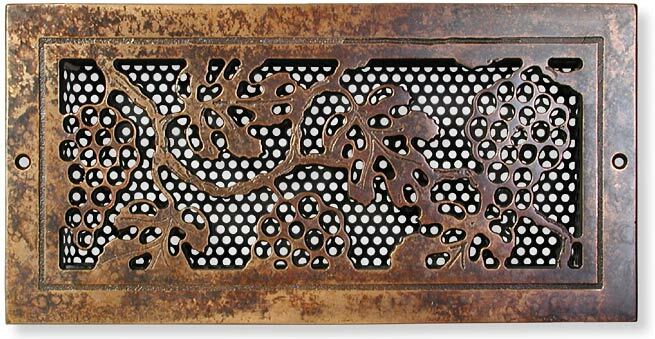 This would be a great grille for a wine cellar, bistro, dining room, restaurant, etc. and it's crafted and poured in bronze, making the pieces in this collection top-notch! 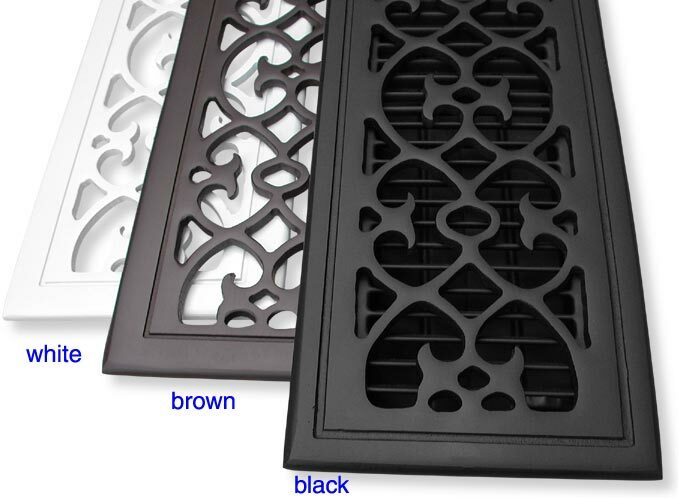 This beautiful and unique grille is available in 12 sizes. 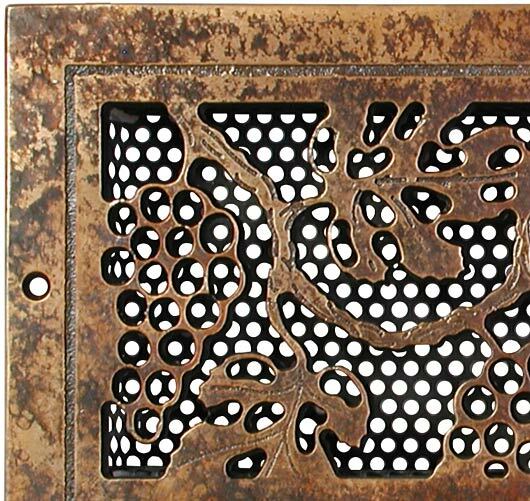 Specify with or without screw holes, and choose a damper or a screen. 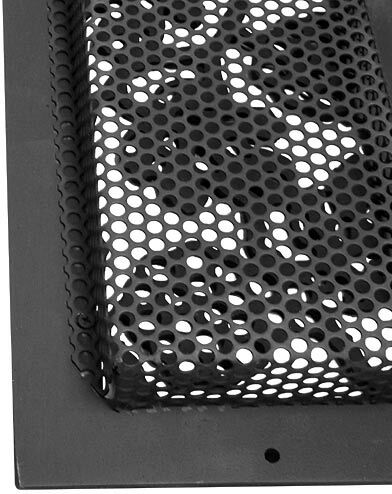 The black perforated screen balances the airflow and camouflages the background ducting. 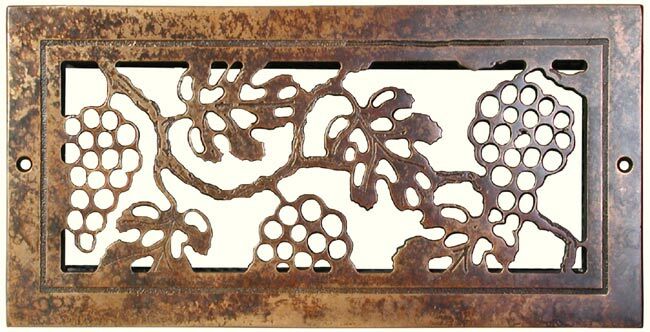 This design has some large gaps in the pattern, they range from about 1.25" to about 3.5". 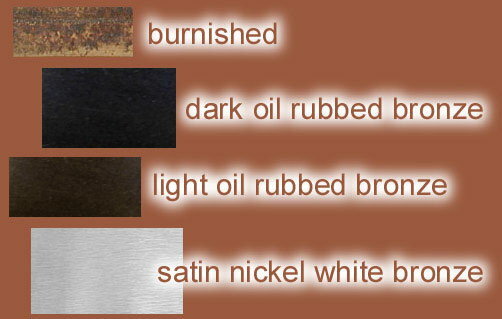 Choose light oil rubbed bronze, dark oil rubbed bronze, satin nickel white bronze, or burnished bronze (shown). Dampers available in 14 inch sizes or smaller sizes. 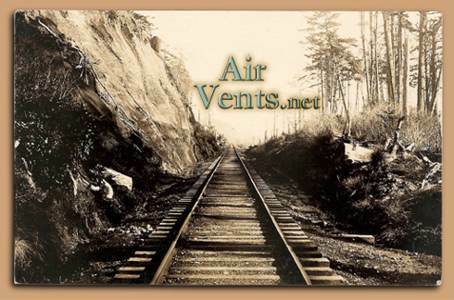 Available with damper, screen or plain.